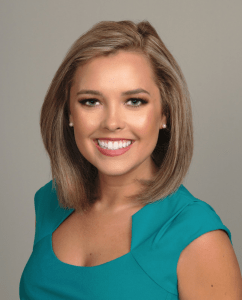 A native of Terra Ceia, Florida, Erin Lisch earned two degrees from Florida State University in 2014: one in Media Communication and another in Sports Management. During her time at FSU, Lisch combined two of her passions and began as a reporter for Seminole Sports Magazine, where she was often recognized for her talent and dedication. Lisch went on to shine at WFSU as a sports host and anchor, where she covered Florida State athletics. Lisch eventually took her talents to Indianapolis where she currently works as a multimedia journalist/reporter at WRTV. Visit Lisch’s Facebook page to stay up to date on her latest work.